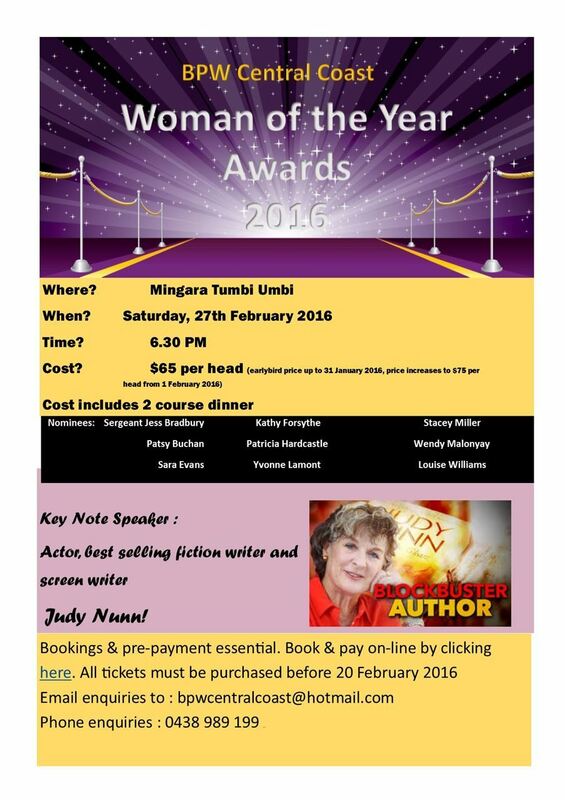 BPW Central Coast Woman of the Year will be held at Mingara on 27 February 2016. Our guest speaker is best selling author, actor and screenwriter Judy Nunn. Early Bird tickets $65 includes 2 course meal up to 31 January 2016. Tickets purchased after 31 January will be $75. If you have any special dietary requirements please email these to bpwcentralcoast.com.au stating your name and requirements. Register here. Click here for printable version of invitation.